The Comsat-NG (Communication par satellite de nouvelle génération)), then renamed Syracuse-4, contract signed in December 2015 covers the construction and launch of two military communications satellites for the French armed forces, to replace the Syracuse 3A and 3B satellites, launched in 2005 and 2006, respectively. These new satellites will enter in service in 2021 and will give France a higher performance system featuring new services. 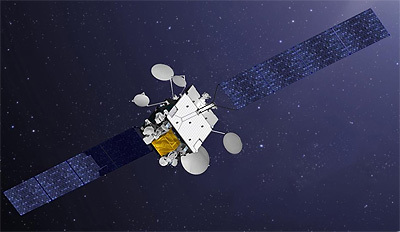 Offering a design life of 15 years, the two satellites will have identical X- and Ka-band payloads, built by Thales Alenia Space as prime contractor. One will use the full electric Spacebus-Neo platform, while the other will be built on the full electric Eurostar-3000EOR platform. The Syracuse-4 satellites will feature unrivaled resistance to even the most extreme jamming methods, thanks to state-of-the-art equipment, including an active anti-jamming antenna and a digital onboard processor. The two Syracuse-4 satellites will be launched on Ariane-5ECA rockets between 2020 and 2022. Syracuse 4A (ex Comsat-NG 1) - 2021 Ko ELA-3 Ariane-5ECA with ?